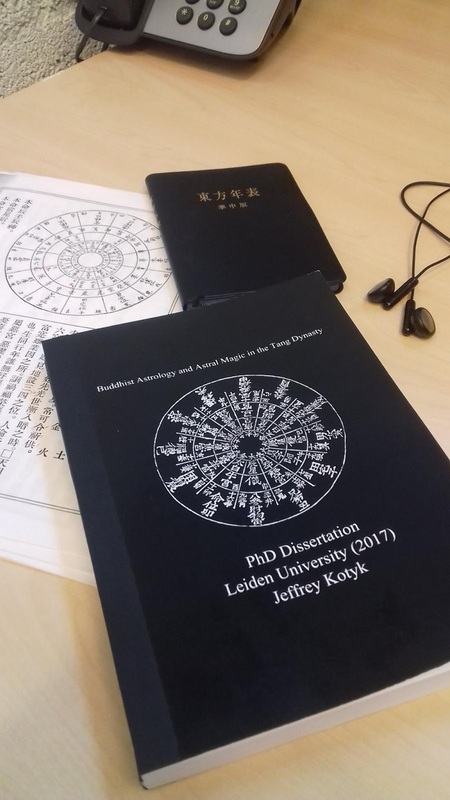 On the 7th of September, 2017, I was awarded my doctorate degree following successful completion of my dissertation titled "Buddhist Astrology and Astral Magic in the Tang Dynasty". Over the past few years on this blog, I've often discussed parts of my research, so I will not go into details about my study, but, rather, here I'd like to talk about the long path to earning a doctorate. I initially started my undergraduate studies in 2003 at the University of Manitoba. Without much thought, I took Greek and Latin, but didn't do so well for a number of reasons, one of which was that I had no idea how to study a new language. Despite that first bumpy year, I recovered and took up Japanese as a new major, largely owing to my interest in martial arts at the time, however I was increasingly interested in East Asia as a whole. In the following year, I also started looking at Classical Chinese. 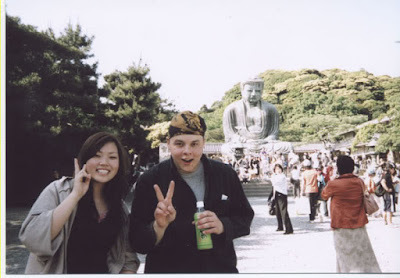 After two years of studying Japanese, I had the opportunity to study for a year at Kokugakuin University, and so off I went to Japan for a year of mostly studying Japanese. During that year I remember having several months of time in which there were no classes, so I also studied Classical Chinese and then modern Mandarin in the hopes of being able to enter second-year Chinese upon returning to Canada. At the time I felt it would be better to transfer to a university with a more established Asian Studies program, so I transferred to the University of Alberta in Edmonton, where I spent two years. My time in Edmonton was quite fruitful. It was there that I started to seriously read about Buddhism. In addition to taking relevant classes, I also attended local Buddhist temples (Tibetan and Vietnamese). After a few years of studying Japanese and Chinese, I tried my hand at reading Buddhist texts in classical Chinese translation. I remember I started with the Chinese translation of Nāgārjuna's Mūlamadhyamaka-kārikā (中論), which, given its standard vocabulary and running commentary, wasn't that difficult. This was encouraging at the time, since I was reading by myself without any guidance. I read other works by native Chinese authors alongside English translations, spending many long hours at various cafes in Edmonton doing just this. Toward the last year of my undergraduate program, I applied for a scholarship offered by the Ministry of Education in Japan, which provides full tuition and living expenses for a graduate degree. I was successful, and Komazawa University was happy to take me on as a MA student. The view from my dorm room in Japan. Between 2009~2011, I mostly researched a commentary on the bodhisattva precepts by the Huayan patriarch Fazang 法藏 (643–712), and wrote a thesis in Japanese while living on a mostly nocturnal schedule under the influence of fresh matcha tea. During my MA program, I visited Taiwan and later India, Nepal and China. 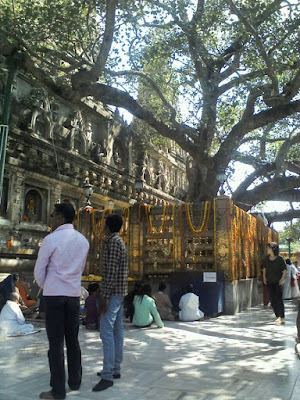 My first trip to India was in January of 2011, during which time I visited the four main Buddhist pilgrimage sites in northern India. It was a challenge at times navigating my way around India, but nevertheless it was an overall gainful experience, and along the way I met many new friends. 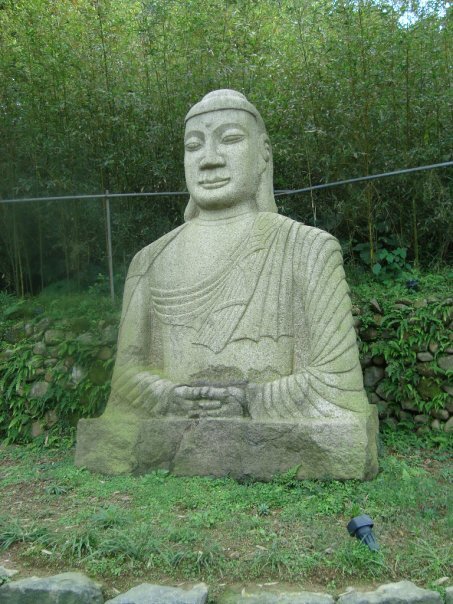 Taiwan was also an accommodating country to visit, especially as an aspiring scholar of Chinese Buddhism. 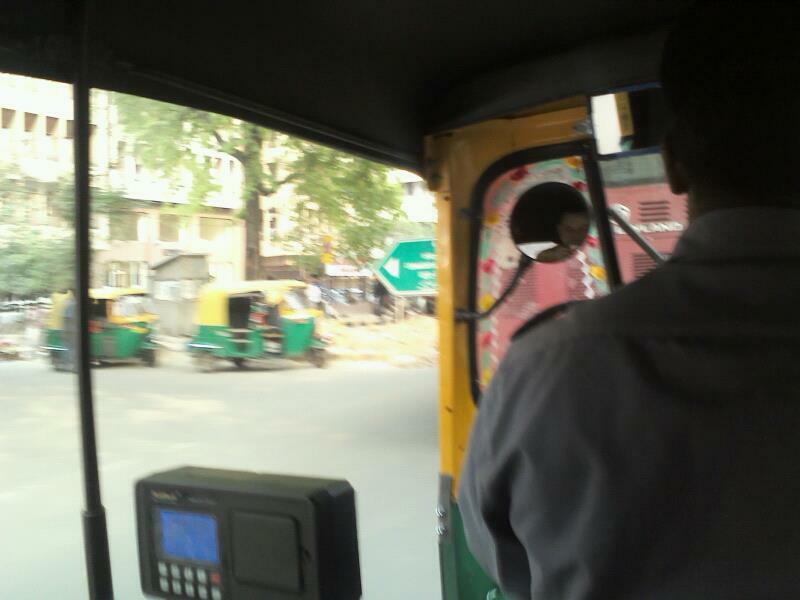 In an auto-rickshaw in New Delhi. 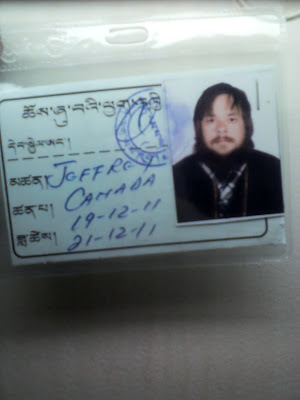 While in Nepal in early 2011, however, I received an e-mail notifying me that my application to a PhD program in a university in Canada had failed. In retrospect, I probably should have applied to several programs, but I mistakenly figured I was good to go. It was too late at that point to extend my Japanese scholarship, so I had no choice but to graduate and exit the country. 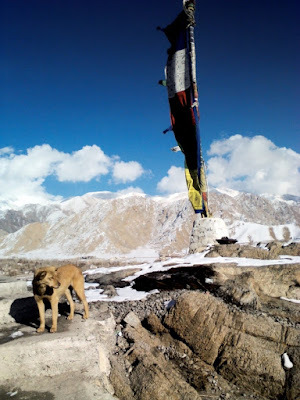 So, in August of 2011, I returned to India and went to Leh, Ladakh in the north for four or five months to sit atop a mountain, read Chinese Buddhist texts and meditate. I spent those months mostly alone, either reading or sitting on the meditation cushion. Although I had failed to get into a PhD program, I still thought of myself as a scholar, albeit without any title or status. I was determined to continue studying Buddhism, while also extensively reading modern secondary sources. 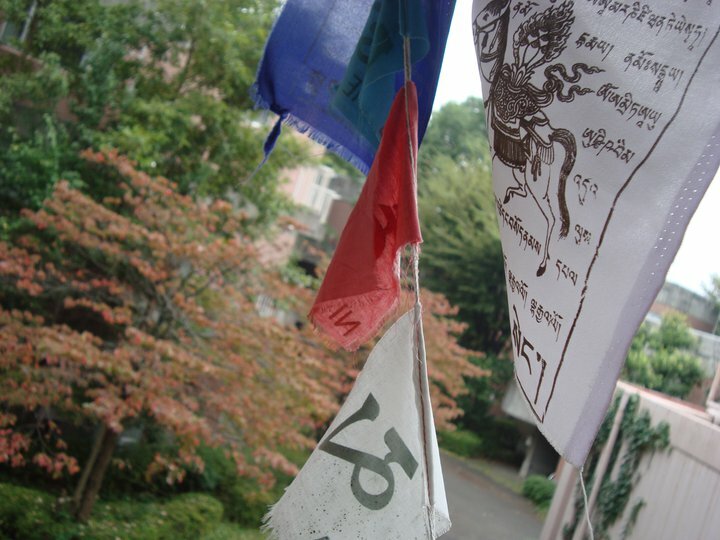 At the same time, it was enriching getting to know living Buddhist traditions. Once the cold of the Himalayan winter set in in Leh, I migrated south to Dharamsala, where I spent about a month's time. I attended a talk by the Dalai Lama, socialized with a lot of the wandering Dharma seekers, and became increasingly haggard in appearance. The predictable problem at this time, however, was my lack of income. Fortunately, I was able to get a job with Dharma Drum Mountain as a translator of written materials. I relocated to Taiwan after India, being based in Taipei for about a year. Over the course of that year, I translated two books by Sheng Yen on monastic codes and the vinaya. In the process of doing this, I learnt a lot about the vinaya and its various complex procedures and rules. It was by coincidence that during my year in Taiwan translating vinaya-related materials, I was invited to ordain as a monk in India. I had often thought about going down this path in earlier years, or at least trying it out for awhile, since I was happy when immersed in a Buddhist environment. 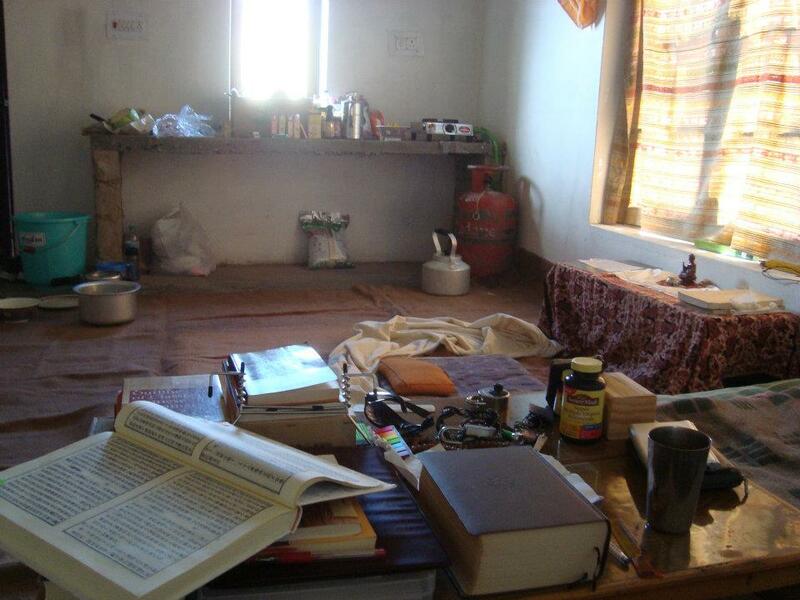 So, I relocated to India and became a monk. I initially spent time in Delhi and Bodhgaya before going to Singapore for about two months when my visa in India expired (the "visa run"). Afterward, I spent a little while in Nepal and then went back to Leh to do a short retreat for a few months. In mid-2014, however, I had the opportunity to enroll in the PhD program at Leiden University, and I no longer wished to be a part of the Buddhist sangha for a number of reasons, so I left that life behind. To give some background to my research project, early in 2014 it was becoming increasingly apparent to me that astrology played a significant role in East Asian Buddhism, yet modern scholarship had not yet delved into this topic as much as was clearly necessary. I did a preliminary study of the primary texts and came to think that this might work well as a PhD project. 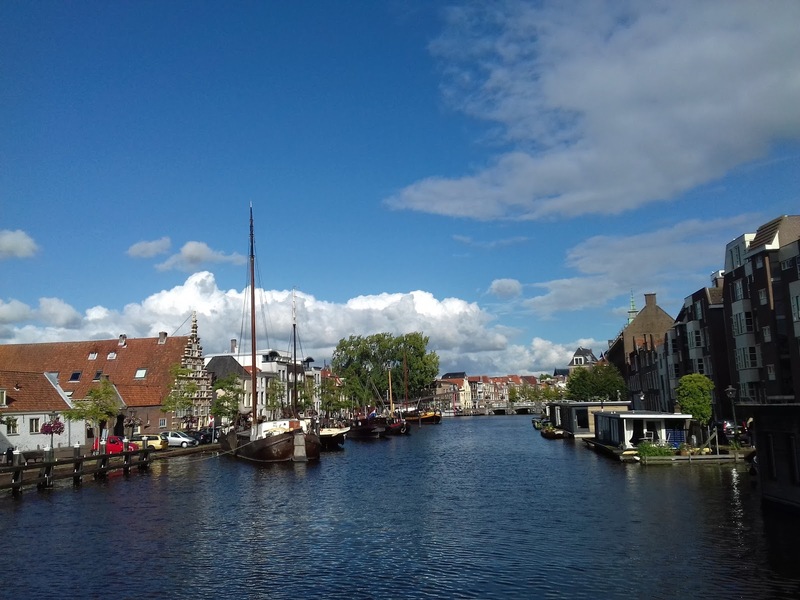 So, with this topic in mind, I pitched a proposal to Leiden University and started as a PhD candidate in the summer of 2014. The Dutch system includes a system for "external" or "self-funded" PhD candidates, so effectively you are required to produce a dissertation, which is approved by a committee. There are no coursework requirements. I was therefore not subject to any residence requirements, so at the invitation of Dharma Drum Mountain, I went back to Taiwan to spend a few months making use of their library. Following this I was awarded the BDK Canada Graduate Student Fellowship, which enabled me to relocate to Japan for one year to do my research there. This was immensely beneficial since a great many articles that I had to acquire were in printed journals that have never been digitized, or even made available outside Japan in many cases. 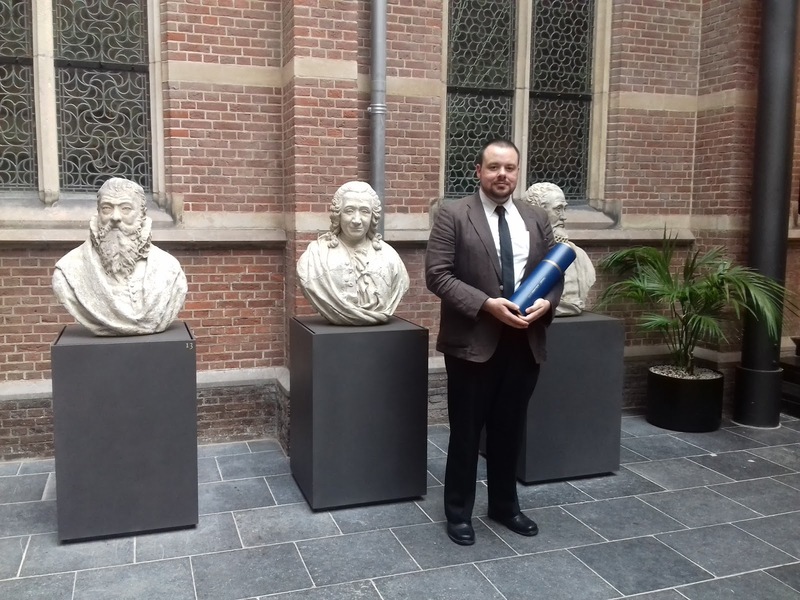 It was a productive year there and, much to my good fortune, I was subsequently awarded the Robert H. N. Ho Family Foundation Dissertation Fellowship in 2016, which helped me to relocate to Leiden. This fellowship requires the fellow to carry out a proposed research project. Over the course of ten to eleven months, I carefully went through several texts related to Buddhist and Daoist astrology in East Asia, all the while adding my findings to the framework of my dissertation. At the same time, I produced a few peer-reviewed papers, which have now been published. In the end, I felt that producing 100,000 words (excluding bibliography) wasn't as challenging as proofreading the document repeatedly (I imagine there are many typos and errors remaining). My committee, all of whom provided critical and helpful feedback, signed off on the dissertation, and awhile later the Dean issued me a letter giving me permission to request a thesis defence date. At that point I just had to make the final edits and get the dissertation printed. 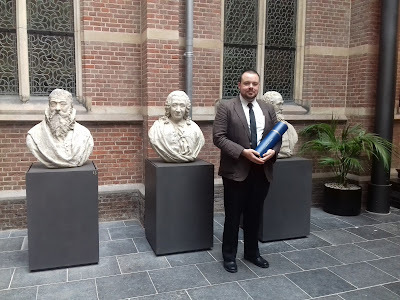 On September 7th of this year, I was awarded a doctorate degree. So, is there any advice I can offer prospective or current PhD students? I suppose the first thing I would suggest is to maintain a productive schedule. Spend at least eight hours per day doing your research and writing, but remember to rest as well. I generally work Monday to Friday, and rest on weekends. I admittedly also like playing video games in the evening, which helps my mind settle down after a day of intense intellectual work. A long walk and then a glass of wine before bed also helps. Having a regular sleeping pattern is also essential. With respect to a topic, I had the fortune and challenge of dealing with a topic that hadn't been subject to any comprehensive treatment. Scholars of astrology generally don't know Buddhism, and Buddhist Studies only has a few people alive today who know much about astrology. In addition, I was particularly interested in the art record, so for the first time I was also examining illustrated manuscripts. This challenge was made easier by having already attained literacy in Classical Chinese, Mandarin and Japanese. Competence in the required languages for your study is critical. I wouldn't have been able to do my project without literacy in Japanese, but more importantly, literacy in Classical Chinese was absolutely essential. Ideally, I would advise having strong literacy in your target language(s) before you start your PhD. It also goes without saying that having a solid interest in your topic will ensure your motivation remains consistent. I enjoy reading Buddhist texts, but at the same time I found taking on the subject of astrology as a new field of learning to be equally enjoyable. It was invigorating seeing how Buddhism related to astrology over the centuries, especially in East Asia, where Iranian horoscopy was actively practiced from the early ninth-century. Perhaps one of the benefits of specializing in these two areas is that I have very different materials to read, which keeps things interesting. Finally, if you have the good fortune to have a regular income as part of your PhD program, make the most of that time. It is ideal to be able to research without the burden of financial uncertainty. I am grateful to all my friends, family and colleagues for all their support, criticism and assistance. From this point on, I plan to continue researching astrology in East Asia, but I will also branch out and start taking a critical look at medieval Chinese Buddhist historiography and its relation to state historiography. This blog, as it has for several years, will continue to discuss my findings. That was really interesting. I didn't know you had links to DDMBA and BDK. In my eyes that makes you a big gun. You must have gained a lot of good and bad life experience too doing all that travel. I've learned things on this blog I might not otherwise have learned, especially about the cultural exchange that went on before the industrial age, between India, China, Iran, even Greece. Congratulations on your PhD. Dr. Kotyk. I look forward to reading more blog posts. Congratulations Jeffrey - I bow down with respect to your determination, courage, intellectual rigour and the sense of adventure that marks your fascinating journey. Are you going to publish your PhD? How can I get to read it? I have a question, if you don't mind. You wrote that you first studied Classical Chinese, and only then some Mandarin. What was your method of studying Classical Chinese? Was it kundoku, the modern Mandarin pronunciation, or even the Buddhist go-on (since your primary research topic relates to Buddhist texts)? I am proficient in Japanese, and currently studying Classical Chinese, but a bit unsure and completely self-reliant (since there are no C. Chinese experts or teachers in Serbia). Of course, I certainly intent to learn Mandarin afterwards as well. Hi Yuki, thanks for commenting. There are other, newer and arguably improved, textbooks you could use. The downside is that they tend to focus on pre-Han dynasty Chinese, so going beyond that is basically up to you. However, if you get a grasp of Menicus and Confucius, and maybe some other later works like Shiji 史記, and use a good dictionary, then it won't prove too problematic. The trick is really to just read A LOT with modern translations at hand to consult when necessary. Also, reading Buddhist Chinese is very different from reading secular works, and it also changes in style depending on the time period. But, if you work at it, then high literacy is indeed possible. The Japanese method of kakikudashi, which I had to do in my MA in Japan, is something with which I am familiar, but never got into. I don't see the point in translating Classical Chinese into Classical Japanese and then into modern Japanese. Why not just translate directly into modern Japanese? This is how they teach it in Japan, so 仕方がない. Unless you're taking classes in Japan, you never really need to learn it; or unless you're looking at later Japanese Buddhism, in which case you should understand how the monks were reading the Chinese.